Easter may very well be the biggest brunch day of the year. The holiday is a great time to gather with friends and family to celebrate and welcome spring. 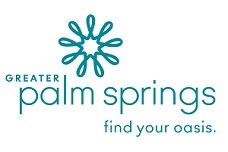 Rancho Mirage restaurants and attractions provide many different options for enjoying a traditional Easter brunch and other holiday activities. Reservations are recommended. Fleming’s Prime Steakhouse-Rancho Mirage: Known more for evening hour dining, the restaurant opens early (10 a.m.) on Easter Sunday and allows for “Easter Your Way” with dining all day. Feast on a three-course brunch with favorites like brioche French toast, spring vegetable quiche, and eggs Benedict. (Kids are treated to a special three-course children’s brunch menu.) Come later in the day to choose from a full dinner menu or a three-course filet and lobster menu. Acqua California Bistro: Enjoy the full Easter Brunch buffet from 10 a.m. to 3 p.m.
($34.99 per person, $17.99 children 12 and under) and choose from selections at carving stations with sirloin tri-tip and oven-roasted turkey and ham, omelet station, pasta station and brunch favorites like meatloaf, ceviche, filet of fresh Atlantic salmon and buttermilk pancakes. Not that hungry? Sit down to the three-course Easter Brunch from 11 a.m. to 3 p.m. ($24.99 per person, $17.99 for children 12 and under). Plus, there’s a limited Happy Hour at the bar from 11 a.m. to 3 p.m.
Bernie’s: Indulge from 10 a.m. to 2 p.m. on a special three-course Easter menu that features lobster bisque, crab cakes, eggs Benedict, egg white frittata, braised Chilean sea bass, steak and eggs, grilled lamb chop, grilled Skuna Bay salmon, New York cheesecake, banana pudding and more. Many of the offerings are gluten-free. 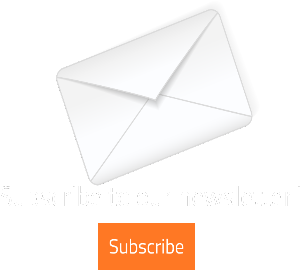 bluEmber: Are the kids early risers? Take advantage of the 7 to 11 a.m. Family Breakfast Buffet in the foyer (adults $26, children 6-12 years $13, under 5 complimentary + tax and gratuity). There’s a lot to please the palate, including scrambled eggs, buttermilk pancakes, steel cut oatmeal, fresh fruits, an omelet station, a large variety of baked goods and more. From 10 a.m. to 2 p.m., celebrate Easter with a delicious full brunch buffet inside bluEmber (adults $69, children 6-12 years $34, under 5 complimentary + tax and gratuity). Menu items include eggs Benedict, omelets, waffles, pastries, panko seared sea bass, smoked salmon, smoked trout, California sushi rolls, Pacific oysters on the half shell, mussels, scallops, shrimp ceviche, crab legs, pepper-crusted New York strip loin, rosemary roasted leg of lamb, salads, soup, charcuterie, cheese, and a variety of desserts. Roy’s Hawaiian Fusion: Come for a Hawaiian Brunch and enjoy appetizers and entrees including, Hawaiian seafood omelet, Kalua pork Benedict, blackened salmon, New York steak and eggs, Wagyu beef “Loco Moco,” and slow roasted prime rib. Later in the day, Easter dinner options include appetizers, desserts, special drinks and entrees such as Misoyaki “Butterfish,” roasted macadamia nut crusted mahi-mahi, Asian stuffed chicken breast, braised short ribs, filet mignon with butter roasted Maine lobster tail and more. Living Desert Easter Eggstravaganza: Hop over to Living Desert on Easter Saturday (April 20) 9 a.m. to 12 p.m. Guests receive a map (or download the map via new mobile app at time of arrival) then wind through the park for a zoo-wide egg treasure hunt where family members can win prizes. Other activities include games, a maze, crafts, face painting, keeper chats, animal encounters, the Wildlife Wonders Show and a rematch of the Tortoise and Hare race. Children can have photos taken with the Easter Bunny. All activities are included with non-member paid admission and free for members. Parking is always free. The Palm Springs Aerial Tramway: Looking for a unique way to welcome Easter Sunday? Reserve a space in arguably one of the most breathtaking places to watch the sunrise: the Palm Springs Aerial Tramway’s Mountain Station at 8,516 feet. The first car departs on April 21 at 4:45 a.m. and, beginning at 5:15 a.m., celebrate Easter Sunrise Service with songs of faith, hope, and joy by Abie Perkins and Natasha Carian with a special inspirational Easter message by Pastor Robert Sneed. Reduced tram round-trip fares in effect until 7:30 a.m. ($15.50 for adults and seniors, $12.25 for children ages 3-10). Beginning at 6:30 a.m., breakfast will be served in Pines Café until 10 a.m. If purchased by 7:30 a.m., the cost for the Ride ‘N’ Breakfast combination, which includes round-trip tram fare, is $25.95 for adults and seniors, and $16.95 for children ages 3-10. The breakfast menu is also available separately until 10 a.m. for $12.95 + tax. Tickets to the Sunrise Service and Ride ‘n’ Breakfast are available in advance or on Easter morning. Easter dinner will be available from 11 a.m. until 8 p.m. in Pines Café. Cost for the Holiday Ride ‘N’ Dine combination is $36 for adults and seniors, and $23.50 for children ages 3-10. Reservations are not taken and tickets go on sale at 8 a.m. Peaks Restaurant will serve regular lunch and dinner menus during normal operating hours. Spring has really sprung this year thanks to the winter rains. Take time to smell the flowers. 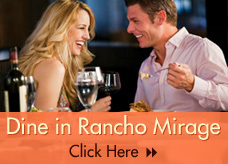 Gather together the whole family, stay and enjoy all Rancho Mirage has to offer. Find a resort with all the amenities that fit your needs. Options include hotels and motels and fully-equipped villas big enough for your entire brood.